Dr. Yvonne Randall has served as the Editorial Review Group Chair for Occupational Therapy since 2013. Over the past five years, we have sent her 62 books and she has coordinated reviews of 52 of them, far exceeding our request that Chairs review two-thirds to three-quarters of the books they receive. In addition to reviewing a number of books herself, Dr. Randall recruited 13 experts from six different institutions to contribute reviews. Dr. Randall is the Associate Dean in the College of Health and Human Services at Touro University Nevada. 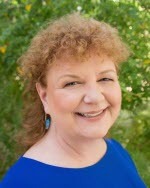 She received her Bachelor of Science in Occupational Therapy from Texas Woman’s University, Master of Healthcare Administration from Chapman University (now Brandman University), and Doctor of Education in Special Education from the University of Nevada, Las Vegas, with an emphasis in Early Childhood Education and Developmental Disabilities. Dr. Randall has been an occupational therapist for over 30 years practicing in settings across the lifespan including the neonatal intensive care unit, early intervention (birth to age 3), hospital-based (intensive care, cardiac care, oncology, pediatrics, trauma), rehabilitation, home healthcare, and skilled nursing/long term care. She has taught in occupational therapy, occupational therapy assistant, occupational science, educational leadership, and special education/early childhood education academic programs for over 25 years. Dr. Randall is passionate about her profession. She currently serves as Chairperson of the American Occupational Therapy Political Action Committee (AOTPAC) and works with the American Occupational Therapy Association (AOTA) Emerging Leaders Development Program as a mentor for practitioners early in their occupational therapy careers. Dr. Randall’s previous volunteer service roles include Treasurer for the Society for the Study of Occupation (SSO: USA) (2014-2017), Speaker of the American Occupational Therapy Association (AOTA) Representative Assembly (2010-2013), member of the AOTA Board of Directors (2010-2013), and President of the Nevada Occupational Therapy Association (1999-2003). Copyright 2019 Doody Enterprises, Inc.